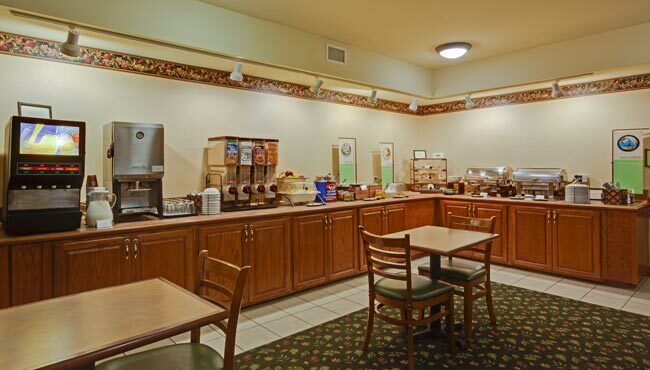 With complimentary breakfast favorites like Belgian waffles, sizzling bacon, fresh fruit and more, the Country Inn & Suites, Tinley Park provides a delicious start to the morning. If you’re welcoming the day at a slower pace, browse the headlines of a free weekday USA TODAY® newspaper as you sip a second cup of coffee in the dining area. For lunch and dinner, popular restaurants like Barraco's Ristorante, Tin Fish and Stoney Point Grill are located just minutes from the hotel.